Hell of a voice this guy’s got. 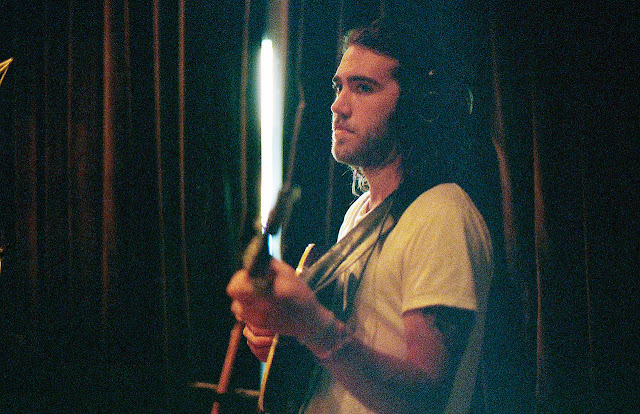 His name is Matt Corby, a 22-year-old singer/songwriter from Australia whose latest U.S. release, an all-too-brief EP entitled Resolution (Elektra), commands attention and deserves an audience. Singing with extraordinary range and resilience, Corby steers between moments of serene, often melancholic introspection and ones of urgent, primal anguish. At times his voice almost eerily recalls those of both Jeff Buckley and Jim Morrison — pure and depraved, sacred and profane — like on the combustible, folk-inflected title track. “Lay You Down” is more subdued yet intense, its earthy and meditative pace coupled with Corby’s near-ethereal vocal achieving a hymn-like solemnity. The most invigorating song of the bunch, though, is “Evangelist,” an eight-minute blues dirge wherein Corby sounds like he’s condemning his every mortal sin to Hell. It’s a stunning song amongst a couple of really good ones, and it’s more than enough of a reason to anticipate what this promising artist does next.